Who Is Your Client When Millennials Buy Real Estate? After the real estate and mortgage crash that began in 2006, home prices have been improving to the point of exceeding pre-crash levels in many markets. Articles talk about why this is the case, with lower inventories being the most mentioned reason. Whatever the combined reasons, prices for homes are up and still rising. Now we also read a lot of news about the economy, wage stagnation and the shortage of suitable jobs for college graduates. Mentions of millennials living in their parents' basements are common, and many are still living with their family. They do not believe they can afford to rent, much less down payment and a home purchase. First time home buyers are still a rarity in most markets. So, what's the answer when it comes to luring millennials into buying a home, and what will they be looking for? With home prices rising and mortgage interest rates also slowly inching up, this new home buying generation is in a pinch. Any reasonable increase in buying pressure is likely to come from millennials shopping for a home with their parents loaning or gifting them down payment money. With this financial help, they should expect the parents to have input into home buying decisions, from location to size and pricing. For real estate agents working the first time home buyer niche, it would be very wise to consider the attitudes of financing parents when advertising and showing homes to millennials. In the information gathering phase of a real estate representation relationship, careful questioning is the rule. 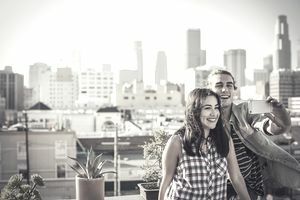 Even if a young buyer or couple is counting on significant help from relatives for a purchase, they may not respond well to being forced to admit that they aren't the final or primary decision makers. A get-acquainted session should cover general questions of interest about their lives, jobs, and families. You're seeking information about where their parents live, as in many cases the funding parents will likely want to keep their children close by. This helps you to select neighborhoods that will be of positive value to the parents as well as the buyers. Any representation of first-time buyers should also cover their financial situation, how much they believe they can afford to spend on a home and the monthly payments they can afford. In this session, you'll likely hear that they are counting on relatives for down payment assistance. It's a good time to diplomatically ask if they believe their funding relatives will have some opinions as to home location, size, and pricing. Whether you consider it lucky or not, they may even say their parents want to be present in home searches, showings or financing decisions. At least you know the number of decision makers involved. If the parents take an active role in viewing homes, it can actually be helpful to your process. It's far worse to spend all of your time and effort with just the buyer(s), only to have their decisions countered after they've found homes they like but are too rich for their financial backers' desires. At least if the relatives are involved actively, you're less likely to be showing homes they really will not be able to purchase. Instead of the historic first-time buyer "find them a home they love" approach, consider the role of the funding relatives in your consulting approach. Talk about value, resale potential, future appreciation potential, affordability in relation to other lifestyle activities, etc. In other words, help the funding relatives to counsel the enthusiastic young buyer(s) in fiscal conservatism. You don't want to get into the middle of a family argument, but you can be a positive influence if you sincerely try to show homes that fit the needs of all of the parties involved. Get these millennial buyers into a home that is near the parents, represents value and sensible financial decisions and makes the buyers happy. You'll be a hero with double sets of clients and get paid. Is Fee For Service Good For Real Estate? What is an Amendment to a Real Estate Contract? Which Agent Gets Paid in a Real Estate Transaction?